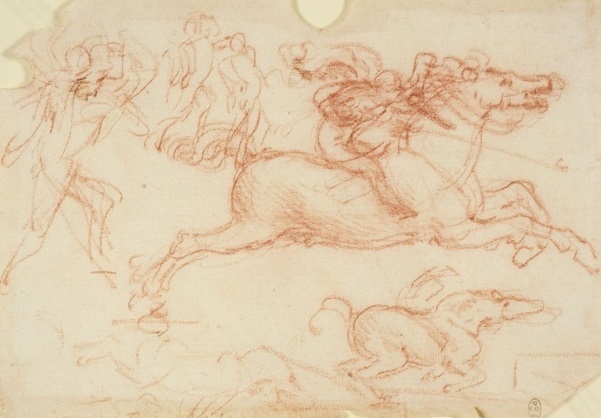 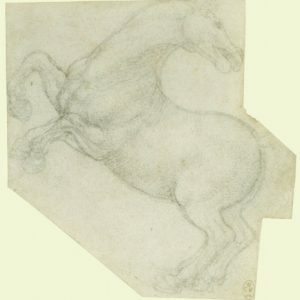 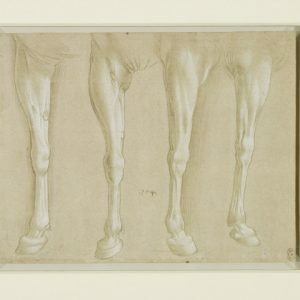 A sketch of a horse galloping in profile to the right, with the rider leaning forward, holding a lance; a study of a man fighting; two similar studies of men fighting; a vague indication of a horse; at lower right there is another sketch of a horse and rider galloping to the right. 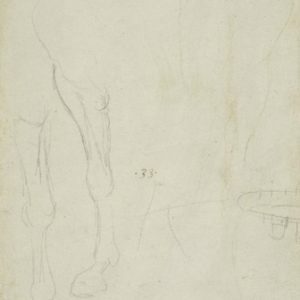 There are losses at the edges of the sheet. 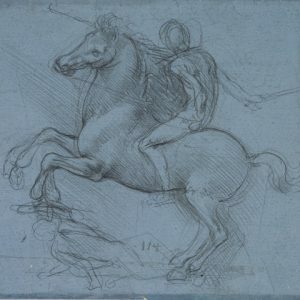 In 1503 Leonardo was commissioned to execute a huge mural of the Battle of Anghiari, a celebrated Florentine victory, in the Palazzo Vecchio in Florence. These rapid sketches investigate the poses of a galloping horseman and a soldier about to deliver a slashing blow with a sword.